OPEN MIC NIGHT W/ CENI +Every Tuesday Night! There are many acts that started at the open mic which are now playing gigs in the beer garden, opening for national touring bands and even headlining their own shows at HopMonk. 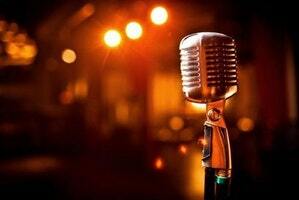 There is also a weekly feature, selected from a previous open mic, which plays an extended set at prime time. There is even a chance you might be invited to join Bill DeCarli, to perform live on KSRO, where he is a regular guest on The Drive with Steve Jaxon. It is a lot of fun, even if you are not a performer, to come down sip on a fresh craft beer and enjoy some locally grown, organic entertainment.